Create engaging contents that talk about things that people would like to know. Answer their questions. Utilize corporate blogging to get your message to your target audience, and spare a few dollars ($5-$50) for promoted posts on Facebook to fuel a little social media seeding. Partnering with huge name influencers will not guarantee effectiveness and may cost quite expensive, so tap local niche influencers in your place (state or city). Also, connect with local bloggers in your area and see who has the best interest in industries such as yours. This will introduce your business to new and relevant market in your area. Almost everyone in the planet is on social media, so grab the opportunity of being seen and heard by the public, but most especially by the people in your circle who could possibly voluntarily share your message to their network of friends and colleagues. Social ads can help drive awareness for your brand which may affect website traffic and result to lead conversions. Set up local search ads in Google to be listed at the top results when users search for information relevant to your business. This function will include a click-to-call link that will enable users to directly contact your business. Paid search ads operate on a CPC (cost-per-click) basis which means you pay only on the clicks your ads receive. Capture mobile users by capitalizing on mobile traffic. This should be a top priority in your lead generation campaign, but in order to get your desired results, you need to create a website that is at par with today’s technology designs. Gamification is proven effective in B2C with the likes of Nike and Starbucks onboard this marketing strategy. The question is: can B2B marketers utilize gamification as a lead generation strategy to engage prospects and leads? Today, we show you how. From the start of civilizations, gaming rules tap into the competitive nature of humans and the desire to win. Gamification makes use of psychology to harness the power of games for profitability. Rewards, challenges, earning points, and incentives are some of the techniques behind gamification that make it a practical and effective marketing strategy, even in B2B. In an increasingly mobile world, B2B marketers can’t ignore gamification as a marketing strategy to reach other businesses. A Wrike survey revealed 66% of B2B buyers use specialized mobile apps related to work. B2B companies in various industries have launched mobile apps and reaped the benefits of gamification. Digital advertising agency inTacto created an online game that generated traffic at the start of the year. The digital agency included sharing options, links to their site, and chances to win merchandise. Workplace, a workforce management software developer encouraged potential clients to sign up for a trial service with The Game. The app was a gamified version of their service that made it fun for consumers to engage in and share with others. Gamification is more than implementing gaming techniques in marketing. A successful campaign offers value, skills, and improvement. It is a compelling tool to challenge, track, measure, motivate, and reward people. Businesses can utilize gamification both to target their consumers and make the workplace more engaging for employees. The content and elements of your campaign should be interesting to your target personas. Offer rewards and incentives to all who participate in the challenge. For example, you can offer reward points, trial service or an eBook. Enable share options. Boost brand awareness and engagement by adding a social share button for your multi-channel campaign. The gamification marketing is valued at billions and predicted to grow to $12 billion by 2021. Consumers perceive companies that employ gamification strategies as forward-thinking. Determine success metrics and desired outcome from your campaign. Ensure you have realistic and measurable goals in place. An analytics tool can determine when you achieve your goal. Know what type of game appeals to your target personas. Test several game types to find out when consumers are most likely to be receptive and convert. Likewise, consider designing your campaign to suit the age of your target personas. As seniors exit industries, it is critical to address the desires of the millennial audience. A URL shortener such as Bitly and Goo.gl is a great way to get insight into the topics and keywords your audience finds interesting. The more you dig deeper into consumer problems, the better your campaign. Aim to deliver a consumer-centric app that offers solutions to meet a pressing consumer problem to a specific audience. If you feel you are not ready to go full-force with a gaming app, it’s best to test the waters first. Run little challenges that reward consumers and see how your target audience responds. It should be clear to your audience what they will get in turn for participating in the challenge. It could be a special offer, exclusive content, or a product sample. Don’t make it difficult to navigate through the game or challenge. Make it easy for your audience to join without asking them to commit too much right away. If it is complicated, people will abandon the game. Testing sites like UserFeel and Peek can help you determine games that hold excitement and optimal level of difficulties for the best user experience. Game developers learned to make menial tasks sound exciting. Take for example FarmVille, a game about planting crops or Diner Dash, a waitressing game. The more boring you think consumers perceive your business, the more vital is gamification. Fun elements make your strategy look less like advertising and more experience-centered. Finance company Commonwealth utilized gamification in their website and mobile app SavingsQuest. Through this platform, the company leverages challenges and badges to encourage users to reach financial goals. Create a timeline from developing to launching your gamification campaign. Set limits within your budget and use analytics tools and key metrics to determine its efficiency. Consider working with a gamification developer to stay on budget and schedule with the campaign efficiently. From startups like Foursquare to established companies like Nike, gamification is moving forward in mainstream marketing. Tap into powerful human emotions in winning and losing improve customer experience, loyalty, engagement, and retention. Gamification that works centers at the needs of a specific audience and wraps solutions in creative and entertaining ways. Sometimes being a software vendor can get difficult – trust us, we get it. However, just with anything that is difficult, there’s always a quick workaround. When trying to set appointments, be conscious of how you formulate your statements so as to make a good impression. Turning off your prospect is the last thing you would want to do. Nothing will guarantee you better results than doing your homework properly right from the beginning. Study your targets and get to know their schedule such as when they are busiest during the day, when is a good time to make a phone call and how to get their attention. You also want to make sure that you get their positions in the company right. Doing so gives them the impression that you are interested enough to review their profiles. Be seriously prepared when you make a phone call in order to set an appointment. 1. Get your target clients to lower their guards. Commonly, the default response would be to deny that they are busy and can spare a few minutes to take your call. 2. Let the person on the other end of the line know your purpose for calling. Say something like this, “The reason why I am calling is I would like to get 20-30 minutes of your time to discuss how we can help improve your employee productivity by at least 25%.” This kind of statement does not only get the target’s attention, but it also gives him or her a clear picture of what you can offer. Try asking something like this, ”Would tomorrow at 10am or Friday 3pm be perfect to call you again?” This type of question gives the person on the other end of the line 2 alternatives to immediately choose from. The type of business leaders you want to reach are those who are influential enough not to be required to punch in and out daily. You can schedule an email to be sent early in the morning, make a sales call during their lunch break or after office hours. Usually, most marketers get good responses when they send out emails between 4am to 5am. This strategy gives you an edge as you get the recipient’s attention as he starts his day after a good rest the night before. Use referrals to your advantage. When you are referred by someone, it simply means that the person who is asking as mediator can either vouch for your integrity as a business operator or simply know someone who has a great need for your software. Additionally, when people refer someone it generally implies that there is a certain degree of trust in play. Referrals place you in an advantageous position over your competitors. Do not sell your product or service right away. In your target’s mind, there is already an end result in sight. All the target has to do is say yes to meeting you on the agreed date. Setting an appointment with the right prospects does not have to be an agonizing experience for you. You need not look too far at the same time. Consider the business operators that are already familiar with your brand, those who have sent inquiries in the past, checked out your website, downloaded materials from your site, or attended one of your events in the past. It helps greatly when you pay attention to the people who are already in your circle. Keep them closer by engaging them one more time. Since they are already familiar with your brand, it becomes a lot easier to set an appointment. Picture this out: You are in the process of launching a new product or solution. You need customers in your funnel and you are faced with a struggle in keeping your tank full. As the constant change in the marketing landscape already fueled the challenge in keeping your business on the run, launching a new product only adds to the number. How will you generate buzz around your product and solution? How will you attract visitors and convert them into qualified leads? How will you gain that “traction” that you’ve been aiming for a while now? The questions of how’s are popping inevitably, it is not new – so are lead generation strategies. There are several tactics that you can integrate into your business that would help you counter the said challenge, such is a deeper understanding of lead generation that is both art and science. It is a simple process, yet, it needs professional creativity to attract visitors, drive traffic to your website and gain some qualified leads whose interest was stirred by your product or service. There are many opportunities out there, but the question is how are you going to turn each opportunity into sales? Optimization is key. Let online users find you in search engines as it is arguably, the most powerful long-term technique in generating leads. This goes along quality content and possible search keywords related to your service. You can also use some SEO tools that can equip your search marketing campaign for the better. Position your product or solution where a big number of audiences are most likely to dwell. Widen your reach across the web as you provide your prospects with information relevant to their needs. Send them appropriate and time-saving messages in a touch point. Focus on prospects who are potentially interested with what you offer by simply answering their questions. Provide real-time and convenient information as you drive you prospects to your sales funnel through a live chat that would put you quickly in front of them. Humanize your brand and come up with a buyer persona that will allow you to understand your customers better. When you relate your content that appeals to your target market, you are not only building a relationship with them but you also cultivate their trust towards your brand. Considered as one of the key strategies for your business to prosper, affiliates are your business partners that would pave you access to different networks. Leave a part of the burden on promoting your service to them as they can reach and attract online users redirected to your website. A one-to-many medium, nothing beats a channel that stood the test of time. Emails are more direct and personal where you can establish a relationship with your clients. When managed effectively, it could generate great results for your business. 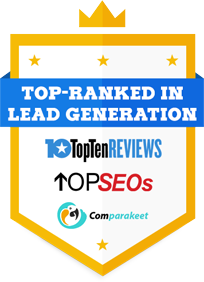 In addition, you can find your own lead generation company that will help you achieve your marketing goals. Leverage your marketing stance with their professional services that will save you time as manual works of your team will be reduced. Choose the one that works best for you, which coincides with your target market and your requirements. If there is no traction going on and about, your product or solution will not gain the momentum needed to keep your business running. The higher the traction, the higher the sales – sales will fuel your business and lead generation will trigger your sales. So make your move, attract potential investors and close the deal while it is still hot! Startup owners need to be more strategic and intentional with their marketing strategies. Traditional marketing is out of the question with a tight budget. A better approach is customer-centric. Target buyer personas are most likely to engage with your brand, easy to retain, and are more loyal. In this article, we discuss how to create these personas and interact with them. Most people have characteristics and traits they want in an ideal partner. When you find a person that matches your perfect partner, you woo them and care for them, so your relationship becomes long-term. In business, we do not offer or goods and services to everybody. The wrong customer can bring down potential customers. When you find customers that fit your profile of ideal buyers, your goal is to create long-term clients. Just as it is expensive to woo a new partner, so is mass marketing a costly ideal. Start by creating buyer personas or descriptions of your ideal customers. You can have segmented buyer personas based on demographics and values. Necessary information may include location, gender, age, budget, occupation, interests, buying habits, concerns, and motivations. Check out our guide to making sure that your data is optimised for your lead generation and appointment setting campaigns. Analyse customer interactions on your website as well. Analytic tools determine your customer’s buying journey from start to finish. These tools also help identify holes where buyers stop in their journey. Sometimes, the quickest way to get the information you need is to ask. Do market research on your existing customers through customer surveys, feedback forms, mystery shoppers, online reviews, and forums. When you take the time to listen to your customers, you learn from them, clarify your existing knowledge, and make them feel valued. Web surveys are great, but with paid surveys, you gain detailed information from your customers. Target existing customers and your strongest buyer segments when providing incentives. Improve survey response rates and get ideal results using our pointers on how to leverage different channels to conduct your B2B survey campaign. Customers are most likely to participate when a brand comes alive. Communicate with your audience, ace your customer service, and continually ask for feedback. A business page on major social networks better establishes your startup. It attracts local customers and makes your business more trustworthy. Social analytics tools are also vital to data collection. Create content that is relatable to your audience. Establish yourself as a thought leader. Publish blogs, video content, and freebies that add value to the lives of your customers. Let them see how your solutions fit into their daily lives. What you communicate speaks volumes about how much you know your audience. Personalise message directed at your target audience tells them you listen and value your business relationship. It is equally essential to identify channels your audience uses the most to communicate with you, such as email, website, Facebook messenger, Twitter DM, or phone. Send a Message on Social Media– Encourage existing customers to engage more often with discounts and birthday coupons sent directly as a personal message. Email Marketing– This cost-effective strategy, when done right, is beneficial. Avoid sending mass emails that end up in spam. Target subscribers and buyer segments that get more use out of your offer. Direct Mail– Millennials are highly responsive to this type of marketing. Postcards, catalogues, and handwritten personalised messages capture their attention. If your clients are oldies, you know they prefer physical mail to digital mail. SMS or IM– Your mates are on their mobile phones more than on any device. This messaging encourages responsiveness, but you need to take caution. Only send messaging relevant to the needs of your customers. Competition and the pressure to meet sales goals push startups to improve their strategies. Start on the right foot by building profiles of your ideal customers and getting insight into their buying journey. Communicate with them with relevant content that provides value, ask for feedback, and promote directly with targeted messaging. Retaining ideal customers will be better for your brand in the long-term than continually marketing to a large group of Aussies that may or may not need your product or service. Master lead management in 6 easy lessons delivered straight to your inbox! Take our FREE Lead Management Bootcamp today. Every successful lead generation campaign has its share of failure points. These failures, when not coped, may affect campaign results or worse, would hit all your lead generation efforts on a dead end. Yes, you read it right, manage lapsed leads. This means that you will have to re-profile these lapsed leads whether they are still good enough to bring back your customer or contact pipeline or not. Give each lead its benefit of the doubt. Run a profiling campaign for these lapsed leads. Although you have done it before, it won’t harm to do it again just to ensure you will be dealing with a qualified contact with accurate information, more so, will not be putting your lead generation time and effort to waste dialing to ‘negative’ contacts like ‘no answer’ or ‘not interested’. Read the notes and digest the interactions between you and the prospect. The conversation must weigh more positively in showing a window for you to be able to reconnect with the prospect. Most marketing experts suggest that when reviving a lapsed lead, you have to make it more personal in terms of communicating. That’s good, but quite an aggressive tactic. Before you do so, make the prospect feel you are coming around the circle again by sending him content that contains valuable links which would help him decide to say ‘yes’ to see you again on another appointment. This is not an easy task. Some prospects may not have the same feeling or impression towards you – as a company, product or service, now and from the last time you spoke with them. You may mention some topics which you have discussed with them before but should not keep you from sharing new features, and unless they would ask you to recall. Instead, bring up more of the new items like a new product, service or promotional stuff that would entice them to engage with you again. Sales and Marketing experts collaborated to give the best guide to proper leads handoff. Here’s some sage advice from them. Hubspot suggests automating lead handoff from Marketing to Sales following a specific process, starting with determining the appropriate timing when a lead become “sales qualified’. The lead handoff process contains the important communication made between the two departments. In cases where a lead is returned from Sales to Marketing when further nurturing is needed or become unqualified, the marketing team may opt to continue to track the lead by sending content in order to get the prospect to give accurate information. But when a lead becomes an opportunity, utilize an email flow with useful content which is relevant to the decision making of the prospect. When a lead is lost, do not give up on that lead. Keep nurturing them, give them the chance to get back to your customer pipeline soon. It’s a guide that would let everyone know what has been done and what still needs to be done to a lead to complete its life cycle. It will help improve both Sales and Marketing’s ability to determine a sales pipeline entry point. Sales may use some triggers to get an MQL into an opportunity through a demo, free trial or consultation. It holds value between Sales and Marketing, knowing where to look for the most updated list of MQLs. A tool that is rock solid, closed-loop reporting. This can be achieved by building a process that sits on the top of the CRM by clearly establishing an understanding of the proper handoff strategy. More consistent and better quality follow-up on leads would result in better or higher conversion of leads into opportunities. Faster lead response times would give better conversion rates. Better economics. Salespeople close deals with qualified sales candidates, not doing otherwise like educating raw leads or unqualified prospects. The human touch enhances lead nurturing through personalized thought leadership and value based on the lead’s pain points. Working with superior data or the most accurate information in the CRM. Improved revenue cycle analytics, being able to identify where the problem’s root and resolve it faster with better follow-through process. Talent development for sales means to have sales knowledgeable and skilled people in the team who understand the business well and can carry out quota while reducing hiring work. Every marketing and salesperson is well aware of this truth. That is why the act of persuasion is fast becoming an “art.” There are numerous teaching available about how to make the best presentation or proposal, but not everything you read or hear about will work for you beautifully. At the end of the day, you need to find the formula that will best suit your corporate culture, work ethics and personal values. What works for another may not necessarily work for you. Fortunately, we can learn a thing or two about human psychology when it comes to business, sales, marketing, and convincing the mind to step out of its comfort zone and say “yes” to something totally new, unchartered and potentially groundbreaking. Remember to say “no” to certain practices and “yes” to those that will benefit you greatly in order to take your company to the next level. 1. Using complicated and overwhelming tables, charts and statistics. One of the key things to remember when making a proposal to your prospect is to make it as simple as possible. Avoid intimidating or boring your prospects by bombarding them with data that they may not be able to appreciate at first glance. If your proposal is backed up by important numerical data, then you might want to consider presenting a summary only instead of letting your prospects go over myriads of tables and charts. 2. Letting your emotions get the best of you. It is normal to be passionate about what you are proposing to your clients. However, if you’re not careful, your proposal might end up sounding like a sappy old romance film ridden with emotions that are too heavy to process. If you want your prospects to say “yes,” you would want to excite, inspire and make them hopeful about your proposal. 3. Promoting something that has hazardous effects. People nowadays are becoming more and more keen about their health and keeping the environment clean and safe. Anything that affects these two in a detrimental way is a major “no.” Go for something that promotes or advocates a healthy lifestyle and green living. People would be more than willing to consider something that protects these two. When you are trying to convince your prospect to say “yes” to something, you have to dwell more on what interests him, what he needs and what would make his life easier and more meaningful. Avoid highlighting so much about what your company wants to achieve in the next couple of years or how it has grown exponentially over a short period of time because of hard work and other important work values. While these things are also important, detailing them may not be really as relevant as you hope they would be. Doing this tip makes your reader feel important and that you care about the decision he makes. It will give your reader the impression that you care little about the monetary gain, but more for how his purchase will impact his life. When you embrace this approach wholly, it can do wonders for the integrity of your business. Making a prospect say “yes” to you means convincing him enough that putting his money on your proposal is a worthy investment. You will only achieve this when you have made him confident. A person’s confidence is built when you use authentic data and strong evidence to support your claims. Once you apply a few of the tips that we’ve laid out here, then you’ll certainly notice a world of difference in your sales appointments today! We’re bringing new life to this article with up-to-date and relevant information. Enjoy! In a another post, we went over a handful of sales prospecting tips that top-performing Australian B2B marketers put into practice. Today, we’ll focus on the next crucial step in achieving pipeline growth: converting new business leads into opportunities and customers. We’ve already talked about the first five points in detail in the previous post. We now turn our attention to the five other remaining pipeline growth ideas, which relate to lead conversion. Best-in-class marketers understand that today’s buying process is a marathon, not a sprint. That’s why they’re twice more likely to have a lead nurturing strategy and process in place compared to average marketers. Keep in mind that the most effective lead nurturing programs produce 50% more sales-ready leads at a 33% lower cost. If you took the time to clearly document your lead generation strategy, then it’s going to be much easier for you to outline the steps in the nurturing process. When do buyers realize that they need help with a problem? What do buyers do to find potential solutions? How do buyers decide which solutions and vendors to evaluate further? What information do buyers need in order to make a decision? Who else from the buyer’s organization will be involved in the decision? How long will it take for the buyer to make a decision? As B2B buyers control more and more of the purchase process, they need to quickly access the right information at the right time to help them move along the buying journey. Faced with an ocean of content and collaterals, buyers tend to prefer potential vendors that can help them easily find what they need. Research from Aberdeen shows that targeting users with content relevant to their buying stage yields 72% higher conversion rates. At the same time, DemandGen Report finds that bundling lead nurturing content within a resource hub results in 400% increase in lead-to-pipeline ratio. All this points to the fact that, not only does content need to be relevant to the buyer’s position along the purchase journey, it also needs to be easily within reach. At each step in the purchase journey, what information or tool can you provide to help meet the needs of potential buyers? Can you assign persons from your team to be involved at each stage? Does your experience with past prospects help you identify how to shorten the time leads spend at each stage? When it comes to converting new business leads, best-in-class marketers understand the value of optimizing customer experience (CX). In fact, this is a clear point of distinction between top-performing marketers and the rest of their peers. According to Green Hat’s survey of Australian B2B marketers, around 48% of overall respondents have implemented customer journey mapping and developed personas, while 50% are targeting specific segments. By comparison, 67% of respondents classified as best-in-class have already undertaken customer journey mapping, and 74% are personalizing content. Part of the reason for this difference in the level of CX focus is the multi-channel nature of the customer buying process. This is why a full 95% of B2B marketers find optimizing CX very challenging. As PWC notes, buyers expect these four key qualities in any CX effort: speed, convenience, knowledgeable help, and friendliness. This is even more important now that 46% of B2B researchers and decision makers are millennials. Highly effective marketers also excel at another crucial ability that their peers struggle with: measuring what matters. As Bizible mentions, while both best-in-class and average marketers have largely the same marketing priorities, they differ in how they use marketing metrics. Top-performing marketers are 10% more likely to point to down-funnel metrics such as lead-to-opportunity, pipeline growth, revenue, ROI, etc. as gauges of their performance. Best-in-class marketers are also more likely to claim they can reliably measure marketing results. Green Hat finds that 95% of top-performing marketers measure overall marketing ROI to some degree. In addition, almost 3 out of 4 highly effective marketers can accurately measure lead conversion and pipeline performance, 2 out of 3 can measure sales lead follow-up and more than half can measure campaign attribution. One pressing reason why average marketers struggle with marketing measurement is that they tend to be inundated by an overwhelming amount of data. With so many data points to monitor and analyze, it can be hard to separate the signal from the noise. Among the things we’ve mentioned so far, it’s the ability to align sales and marketing that starkly contrasts top-performing marketers with the rest of the pack. Bizible uncovers a correlation between high marketing performance and marketing-sales alignment. Top-performing marketers are more likely to rate their sales-marketing alignment highly than average marketers. Green Hat also observes a similar relationship between marketing performance and the degree of marketing-sales alignment. According to their study, sales-marketing alignment is the B2B area that sharply differs between best-in-class and average marketers. Sales and marketing alignment is a core element of pipeline growth. With alignment, more leads are converted and followed up by sales, and both sales and marketing share a unified view of the prospect’s purchase process. Conclusion: Now that we’ve seen what top-performing B2B marketers do to get the most from their marketing programs and campaigns, it’s time to put these ideas into practice. Building and growing your sales pipeline is all about finding the right approach to capture sales prospects and convert new business leads. Hopefully, the things we’ve covered in this series can point you toward that direction.